Third quarter earnings season really picks up this week with about 200 companies reporting. Many of them will be large cap companies, with some being Dow Industrial components. But these five companies are among those that are highly owned and watched by investors. These are the “hot” names this week. Four of them have excellent earnings records while one is a popular retail name. 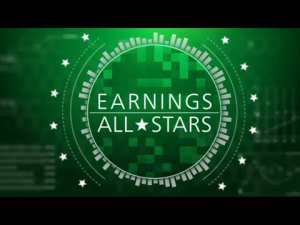 If you want to be up on the hottest earnings charts, these are the ones to watch this week. 1. PayPal PYPL hasn’t missed since its 2015 IPO. Shares were red hot until this recent stock sell off. It has been aggressively moving into foreign markets, especially India. Will another beat bring back the momentum? 2. 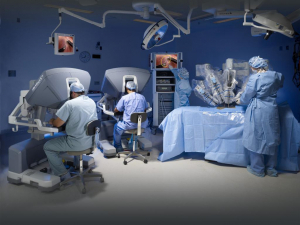 Intuitive Surgical ISRG has only missed once since 2015. That’s an impressive track record. Over the last 2 years, it has been one of the best performing stocks on Wall Street. Is it priced for perfection again this quarter? 3. Celanese CE hasn’t missed on the estimate in 5 years. That’s consistency for you. Shares have slid off recent highs in the recent market sell off on worries about chemical company earnings. Is the rally over? 4. Bank OZK OZK is formerly known as “Bank of the Ozarks” but it still has the same strong growth mission. It’s a rare bank that also has the growth component. This has made some on Wall Street nervous, however, which is why the shares have fallen 24% in 2018. It hasn’t missed in 5 years but will that be enough to turn the shares around? 5. Skechers SKX has beat 3 out of the last 4 quarters. Investors have been worried about the pace of expansion, among other things. Shares are down 30% year-to-date. Is this a buying opportunity?